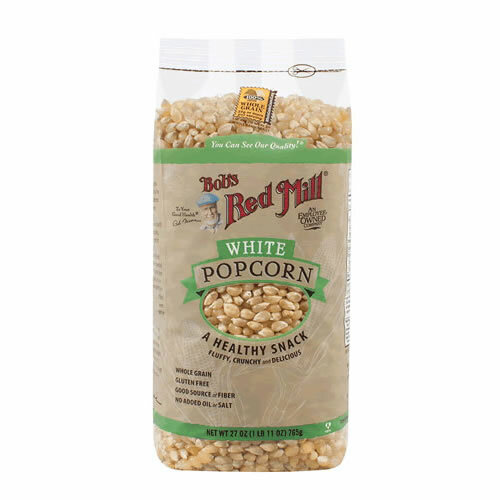 Bob’s Red Mill White Popcorn is a gluten free, non-gmo, fiber-rich snack that is incredibly versatile. 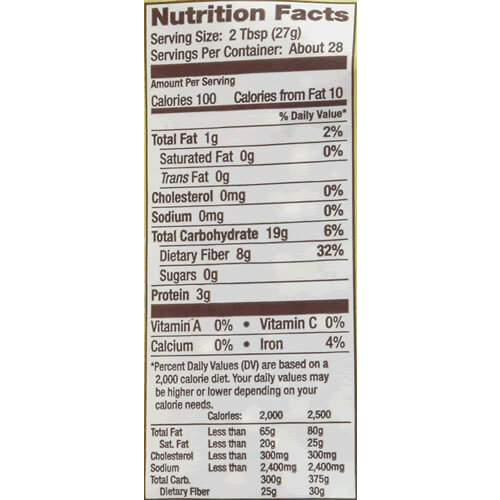 We don’t add any salt, oil, or strange chemicals you find in microwave popcorn – this bag is just pure, single-ingredient, yellow popcorn. Did you know you can make it in the microwave too? It’s true! Just place the kernels in a small paper bag and microwave on high until you count 3 seconds between pops. 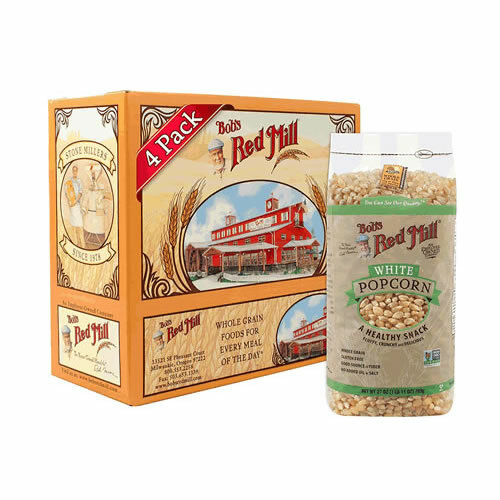 We love getting creative with popcorn around the mill – try it sweet, spicy, smoky, salty, or savory.